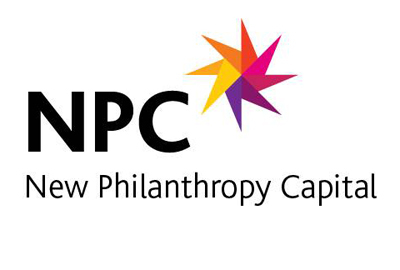 During our 10 ten years working with charities, NPC has met many organisations that despair at how difficult it is to prove the impact of their work on ‘soft outcomes’, such as self-esteem or quality of relationships. For charities, success is often giving a person the confidence to look a stranger in the eye or cope with the difficulties life throws at them, something that is not captured by conventional ‘hard’ measures. But with increased pressure to demonstrate value for money and quantify achievements, a charity’s ability to show results is more important than ever. Third Sector’s forthcoming half-day event, held in central London, will explore what steps charities need to take to define and demonstrate soft outcomes. The event is aimed at all those in the sector with an interest in measuring soft outcomes including Directors of Service, Heads of Research, Evaluation and Impact Measurement, and Project Managers. We’re on the bill to speak – I’m providing a background to the issue and discussing the range of tools and approaches available out there. Alongside me are speakers from Shelter, Coram and NSPCC, and my NPC colleague, David Pritchard, will chair the event. For full details of the programme, prices, and information about how to book, visit the conference website www.softoutcomesevent.com.